Dr. Ken Yonemura has been a neurosurgeon for more than 25 years. He focuses on complex spine and peripheral nerve disorders at the NeuroSpine Institute in Park City, Utah, where he serves at Medical Director. As an FDA investigator, Dr. Yonemura researched lumbar and cervical interbody fusion cages as well as motion preservation techniques including artificial disc and facet replacement technology. He also helped to design of one of the first generation percutaneous pedicle screw systems. Today, he continues to develop minimally invasive techniques to treat cervical and lumbar disc disease. Due to his daughter’s involvement on the US Luge Association junior development team and as an FIL Luge official, he became interested in researching concussions. He is especially focused on refining the diagnostic criteria for concussions and identifying new treatment options once a concussion has occurred. Dr. Yonemura is board certified by the American Board of Neurological Surgery. He is a member of the North American Spine Society and served as the chairman of the organization’s Professional Conduct & Ethics Committee. Born and raised in Southern California, the doctor received his bachelor's degree in psychobiology from the University of Southern California and attended medical school at Jefferson Medical College in Philadelphia, Penn. His completed his neurosurgical residency at the University of California, Irvine Medical Center (UCIMC) and a spinal surgery fellowship at the Barrow Neurological Institute in Phoenix, Ariz. He briefly returned to UCIMC as an Assistant Clinical Professor in the Department of Neurological Surgery but at the request of his then chairman, Dr. Ronald F. Young, he joined him in private practice in Seattle. 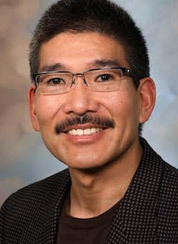 Dr. Yonemura now practices in Utah.